Welcome to YouGarden, where you can shop from a magnificent collection of bedding plants and basket flowers to inject an abundance of colour into your garden. Our range of hanging baskets and pots, compost, feed and fertilisers will help you achieve the best results and make sure your garden looks beautiful month after month. 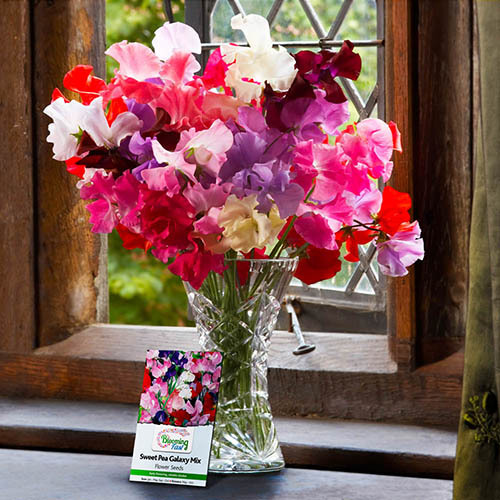 Here we have created a mix of the most popular colours and shades, including many old-fashioned types, selected primarily for scent when used as cut flowers. 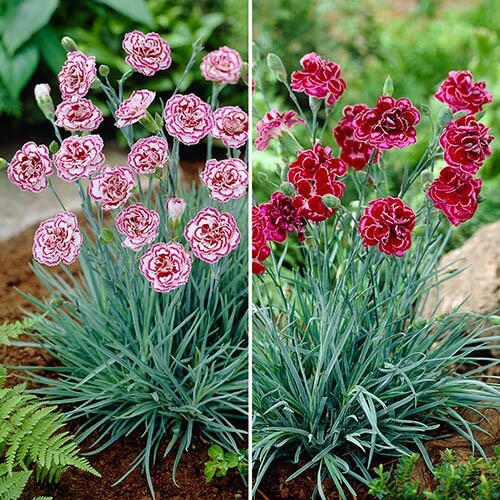 The plants will form lovely dense clumps of evergreen foliage that will provide great ground cover with a succession of beautiful fragrant blooms rising up above the rosette of leaves and showing themselves off. 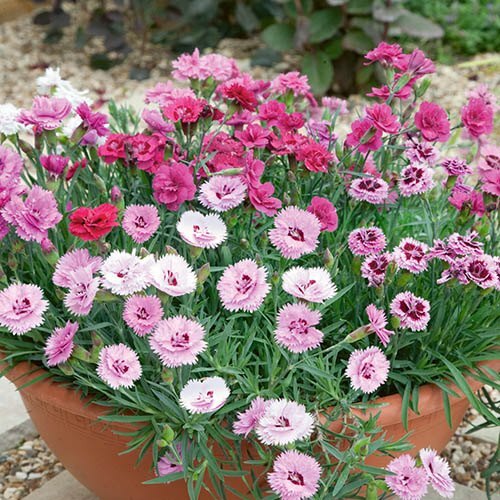 Perfectly formed and one of those reliable favourites that are instantly recognised, garden pinks (Dianthus) are one of the hardest working plants that you can get.